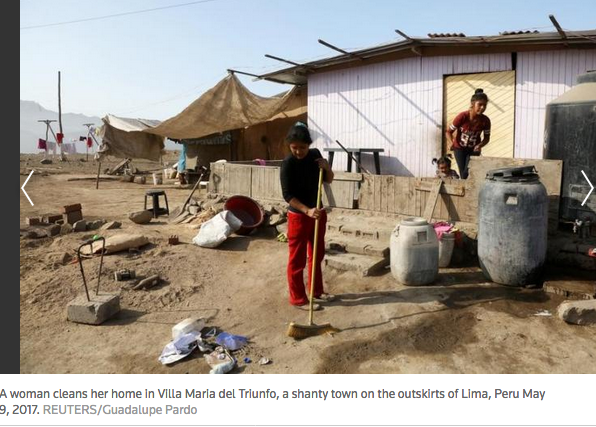 Peru's poverty rate dipped by 1.1 percentage points in 2016 to 20.7 percent, government data showed on Wednesday, in line with modest declines seen the prior two years after several years of sharp poverty reduction. 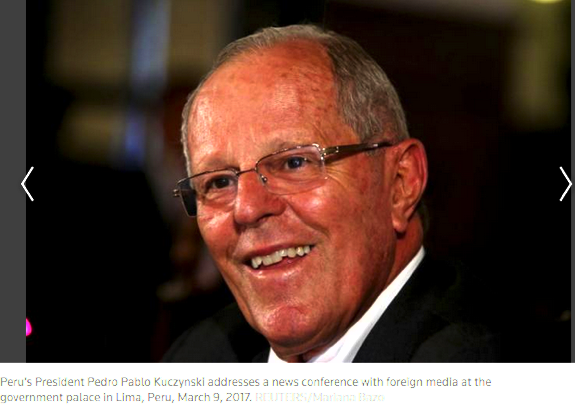 Some 264,000 Peruvians left poverty last year, more than the 221,000 who emerged from poverty in 2015 but less than the 289,000 in 2014, in the first test of President Pedro Pablo Kuczynski's ambitious pledge to cut poverty in half by the end of his term in 2021. State statistics agency Inei defines poverty as the inability to purchase a basket of goods that would satisfy basic needs. Nearly 1.2 million Peruvians, or 3.8 percent of the population, were in a condition of extreme poverty in 2016, defined as the inability to purchase a basic basket of food and beverage products. 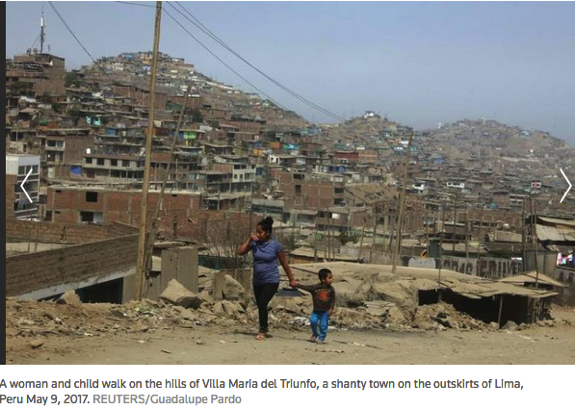 More than half of Peruvians were poor at the start of the century, but a mining boom led to swift declines in the poverty rate in the world's No. 2 copper producer. Since 2014, however, poverty reduction has slowed as lower commodity prices hurt one of Latin America's fastest-growing economies. "The speed of poverty reduction has been lower and lower," said Inei chief Anibal Sanchez Aguilar, though he noted that the poor were, on average, closer to the poverty line in 2016 than in 2015. "The poor, despite not having exited poverty, have improved their level of consumption." Poverty fell more in rural areas than urban areas in 2016, though the divide remains high with 43.8 percent of rural dwellers in poverty, compared with 13.9 percent of urban residents. Poverty dropped 1 percentage point in 2015 and 1.2 percentage points in 2014. Kuczynski, a former investment banker, took office last July pledging to restore annual growth to 5 percent with new infrastructure projects and lower taxes. He has said he wanted the poverty rate to be no more than 10 percent at the end of his term. The government now expects a lower growth of 3 percent this year due to devastating floods and a graft scandal that has paralysed public works. Inei advisor Javier Herrera said it was too early to measure the impact the floods -- which killed more than a hundred people and damaged thousands of homes -- would have on the poverty rate, but noted that for many, the floods damaged "the means of production that allow them to increase their incomes."